This page is dedicated to our ladies recent club results. but nil points for technical merit and artistic impression! Sue Orwin won Best Gross. Well done to Daisy Ward who had the best score on Day 2 – just pipping Kay Atkin on a cpo. Day 1 Kay Atkin on the 5th and 14th and she nearly chipped in for another 2 on the 18th – only inches away! The subsidiary Stableford competition on Thursday was won by Chris Gleaves with 36 points off a handicap of 31. Second was Wendy Higgins (15) with 33 points, whilst Chris Hickmott was in third place with 30 points. Jill Hunter-Blench with 33 points. she also got the 2. Maureen Routley also had a fantastic eagle 2 on the 6th hole. 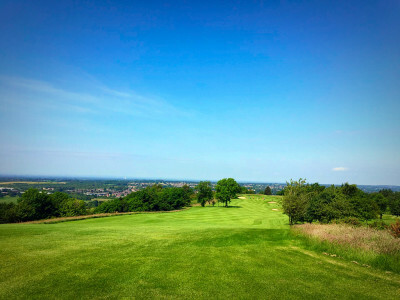 Last week’s Stableford (9th August) was won by Maureen Routley with 44 points from Chris Hickmott with 41 points. In third place was Kath Brocklehurst with 40 points. Nearest the pin on the 18th was Kay Atkin at 7 feet 8 inches while the only 2 came from Anita Hall on the 5th. winner Marlene Connor with 38 points. In third place was Marjorie Mottershead with 34 points. Nearest the pin on the 18th was Anita Hall at 23feet 3inches. Unfortunately the team reversed the score and on Monday lost 2 to 5 Away to Stockport. with a fantastic 42 points. In second place with 39 points was Sue Lawton with 39 points. Judy Mutter with 36 points. came from Myra Clark on the fifth. The winner of yesterday’s competition was Kay Atkin with a 75. 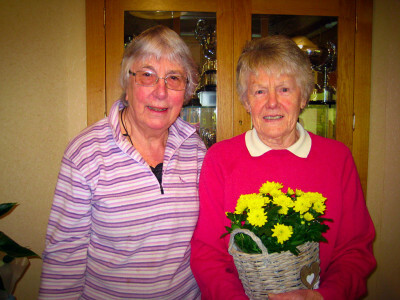 Maureen Routley came second with a 76 and Judy Mutter was third with a 78. Myra Clark won lowest gross with 95. Myra and Joyce Riley both had 2’s on the 18th. The winner of the Captain’s Putting Prize was Wendy Higgins with 29 putts. Saturday for Mr. Captain’s Day. We wish him an enjoyable day. Our ladies B Team have now completed 5 of their 6 matches. The remaining one is against Stockport away on 23rd July. We wish them well. Gill Evans, who came third. Nearest the pin was Chris Hickmott. Thanks and very best wishes must go to Jenny Moore for tea and cake. We hope you had a very memorable birthday. Mr. Captain has now requested that his competition next week is now played as a medal. 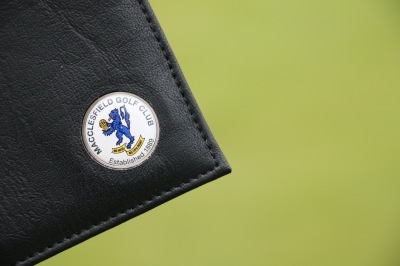 There will be a putting competition running alongside so please record the scores at the side of your card. To compensate for this, the EWGA medal to be played on 9th August will now become a Stableford. Daisy Ward has been selected to represent Cheshire Girls at a Jamboree in Northumberland. We wish her good golfing! partner from Knutsford, Kim Blake, with 48 points. Nearest the pin on the 18th was Carol Ryder from Tytherington. Nancy Barkworth and Carol Hyde for sponsoring today. Many thanks go to Joy Clements for stepping in for Lady Captain and to Sheila Greenwood, Marlene Connor and Maureen Fleming for making up the numbers. Thanks also to Veronica Gough for looking after everyone on the 10th and her general invaluable help! Jenny Moore has kindly asked everyone to join her for tea/coffee and cake/scone next week after the Macmillan Spoon’s Competition. Myra Clark, Chris Hickmott and Joy Clements with a score of 72.8. In second place the team was Kay Atkin, June Sumner and Val Fox with 73.8. Afternoon tea followed with the presentation of prizes for the season so far. especially to the winner (who is certainly on form!). Chris Hickmott with 39 points. with 35 points and in third place was Sue Lawton with 33 points. one with a 2 on the 5th. Chris Hickmott with a score of 70. In second place with 74 was Judy Mutter who also came nearest the pin. In third place was Gill Evans with 75. Best gross was won by Wendy Higgins with 75. Please ensure that you have entered before 3pm next Thursday. A balanced draw will take place and the start sheet will be available in next Thursday’s newsletter and on the club notice board. Adriene Woods and Tracy Royle. with Louisa Holt and Sue Elliot from Astbury. Nearest the pin on the 18th at 4 feet 3 inches was Judy Mutter. eagle 2 on the second hole from Elaine Stone and Jenny Burnham. Thanks must go to Myra Clark for organising the event and to her helpers on the day. 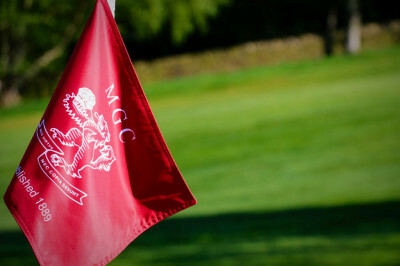 This will be held on 21st June with a 2 tee start between 10 and 11 am. The signing up sheet will be on the board next week and the draw will take place on 14th June and will be circulated in the newsletter. with a score of 74. Routley with 78 on a card play off from Sue Orwin. Wendy Higgins won Lowest Gross with a 76. Sue Orwin was nearest the pin. A reminder from Sue that this competition is on Tuesday 12th June starting at 12o’clock. On-line booking is now available. Unfortunately this date has had to be changed once again as our club will be hosting Cheshire Juniors. It will now be a Late Summer Buffet on Friday 14th September. has accepted to become our new Lady Life Member. with 10 pars and 1 birdie. Nearest the pin was Maureen Routley. When you are booking on-line please leave the first 2 time slots in both the morning and the afternoon as 2 balls. Unfortunately she is unable to block them on the system. competition kindly sponsored by Maureen Routley. In second place was Chris Gleaves with Judy Mutter in third place. The Lowest Gross was taken by Wendy Higgins. Nearest the pin was Sue Orwin. Thanks to Val Fox for supplying the attached photo. Marjorie Mottershead for providing the prizes. 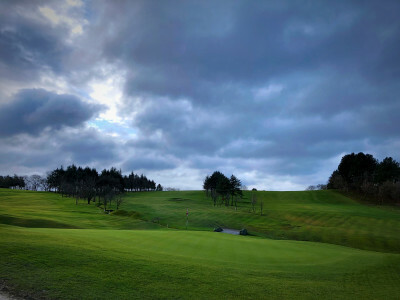 Today’s competition was won by Wendy Higgins with 31 points. with 29 points on a card play-off from June Sumner. Nearest the pin was Sue Gibson. 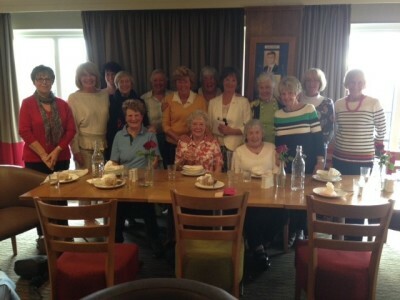 Commiserations to our Ladies Team who lost their match against Mere on Monday at Mere Golf Club. Happy Birthday to Sheila Greenwood and many thanks for the tea and cake which she kindly provided this afternoon. Umbro Cup played alongside an England Golf Medal. Jill Hunter-Blench, Judy Mutter and Georgina Whalley. Joy took the second place and Jill came third. Nearest the pin was Alycia Sutton. In a medal round please will you kindly enter your scores if you have N/R as this affects the Standard Scratch. The entry sheet is in the foyer for this mixed event which will take place on the second Bank Holiday of May – Monday 28th May – please sign up for this event which is sponsored by the Hollingworth family. It is not too late to put names down for this day. The draw will take place next Thursday and all monies should be paid by then. The winners were Joyce Riley and Wendy Higgins with 28 points. Joyce and Wendy have elected to go forward to the Coronation Foursomes. 2 on the 5th hole. 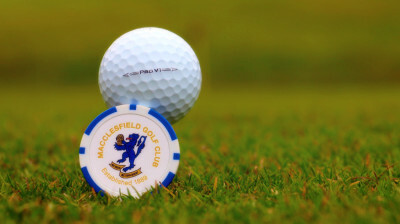 their prizes after the Scramble and Afternoon Tea on 21st June. The draw will take place on Thursday 26th April and will be posted on the board and in the newsletter. All monies ( £12.50 cash only) to be paid and menu chosen by that date. Wendy will be collecting the money and issuing receipts.We have to inform Mellor and Townscliffe of numbers and food on the Friday. The closing date for all entries is this Thursday 19th April. Handicap limit is 36 for both. Please put your names down this week. Again all monies and annual subscriptions are to be paid before the draw takes place this coming Thursday (19th April). We would like to congratulate all who have manged to book on-line for this coming Thursday. Every competition will be put on-line each Thursday morning so you will have the opportunity to book in at the club if you wish. When marking cards please remember to sign and check the gross score. 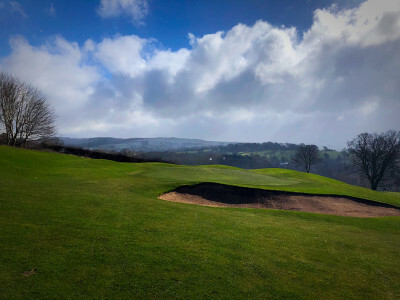 playing our Spring Meeting which was a Stableford over 11 holes. Their winter handicaps will now be 16 and 24 respectively. 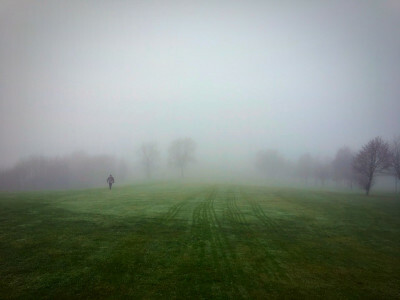 Well done to the 8 ladies who braved the fog to play in today’s Winter League. Their winter handicaps will now be 13 and 15 respectively. 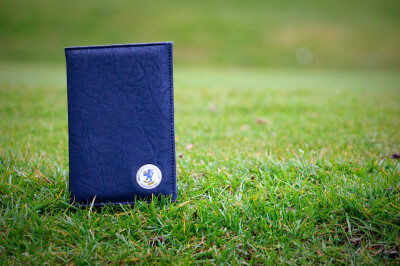 the EWGA medal will move to 9th August following Greens’ Week. Many thanks to those of you who have already generously agreed to donate prizes for our competitions. If there is anyone who has not already done so and would be willing to donate please contact Greeba as there are a few competitions which still require donors.